Country music singer-songwriter Keith Urban's "Old Town Road" cover will make you an instant fan of the viral hit from Lil Nas X! Check it out here! 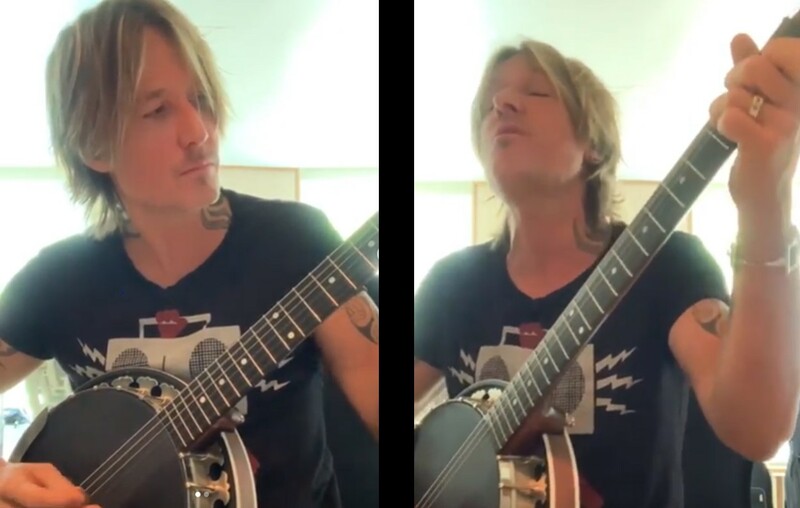 Country music superstar Keith Urban’s “Old Town Road” cover includes a lot of banjo! Watch Urban take on Lil Nas X’s viral hit below! Alright, we’re obsessed. The banjo is way under-utilized instrument and that needs to change! Listen to Lil Nas X’s original version below! Now for the remix featuring Billy Ray Cyrus! “I loved the song the first time I heard it. Country music fans decide what they like. Not critics or anyone else. Waylon Jennings once told me every once in a while the industry outlaws someone because they’re different. Country music fans don’t need to be defined by critics. I’ve always said, don’t think inside the box, don’t think outside the box. Think like there is no box. So, I’m honored to collaborate with Lil Nas X on Old Town Road,” Cyrus shared in a statement about the remix. Share Keith Urban’s “Old Town Road” cover with others who can’t get enough of this unique song!